Cinema St. Louis presents SLIFF/Kids, the Second Annual St. Louis International Children’s Film Festival, August 1-10, 2014. 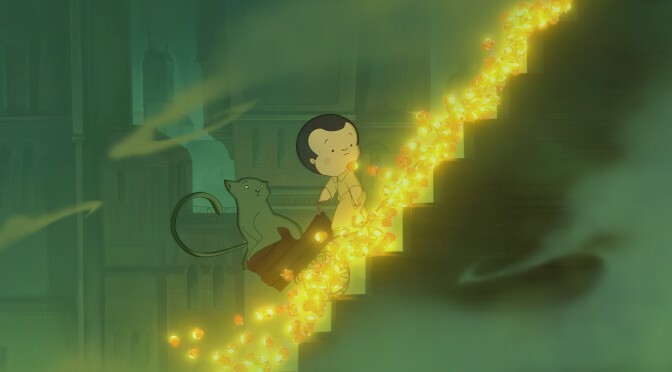 The films include international and American-independent narrative features (both animated and live action) and film shorts programs. Although the programs are geared to children and young teens ages 6-16, older teens and adults will find the films equally appealing. All film programs are free and open to the public. No tickets are required to see any show, but seating is on a first-come, first-served basis, so early arrival is suggested, particularly for groups of three or more. 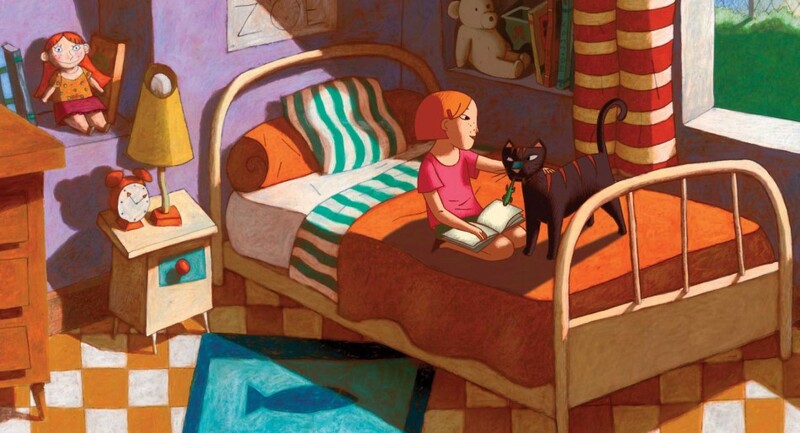 SLIFF/Kids presents film programs on the festival’s two weekends (August 1-3 and August 8-10). Venues include Webster University, Saint Louis Art Museum, COCA, St. Louis Public Library’s Central Library, Wildey Theatre in Edwardsville, and Lindenwood University in St. Charles. • St. Louis Public Library’s Central Library Auditorium (screenings) and Creative Experience (camps): 1301 Olive St. downtown. Parking is available in a free lot at Olive and 15th streets. Tokens, which are required to exit the lot, are available at the Olive Street and Locust Street desks within Central Library. Parking at meters is free on Sundays. • Webster University’s Winifred Moore Auditorium: Webster Hall, 470 East Lockwood Avenue. Parking is available both in front of and behind Webster Hall, no permits are required. • Wildey Theatre: 252 North Main Street, Edwardsville, IL. • Lindenwood University’s Young Hall Auditorium, Watson and Houston streets (one block west of South Kingshighway and Watson Street), 209 South Kingshighway Street, St. Charles, MO 63301. Parking is available next to Young Hall, no permits required. The Festival has also organized many excellent filmmaking camps. With the participation of both Lindenwood and Webster universities, free Filmmaking Camps on live action and animation are held at the St. Louis Public Library’s Creative Experience on the fest’s weekdays (August 4-8). Also, free Advanced Filmmaking Camps (for teens with previous experience) will be held the week after SLIFF/Kids (August 11-15) at both the St. Louis Public Library’s Creative Experience (documentary camp) and Lindenwood University (live-action camp). Before SLIFF/Kids officially begins, from July 28-August 1, COCA will offer a filmmaking camp in which participants will create a 3 to 5 minute digital short that could serve as a pilot for a longer digital series; cost is $250. On August 9, a full-day Teen Workshop on the Art of Animation will be held at the Saint Louis Art Museum; there will be a $75 charge for this workshop ($50 for Saint Louis Art Museum members). Details on the free Basic Filmmaking Camps, Advanced Filmmaking Camps, and Teen Workshop. Charlie Chaplin: Still Funny After All These Years: Friday, August 1, 2014 at 7 pm, Webster University (120 minutes). Features classic silent-film shorts by Charlie Chaplin, live music by Matt Pace, and clown performances by Circus Kaput‘s Oh My Gosh Josh. The Boxcar Children: Saturday, August 2, 2014 at 12:30 pm, Central Library (81 minutes). Animated and in English. Based on the first book of Gertrude Chandler Warner’s extraordinarily popular series – with more than 50 million books sold worldwide – “The Boxcar Children” is a tale of family togetherness that relates the touching story of the four Alden siblings, Henry, Jessie, Violet, and Benny. 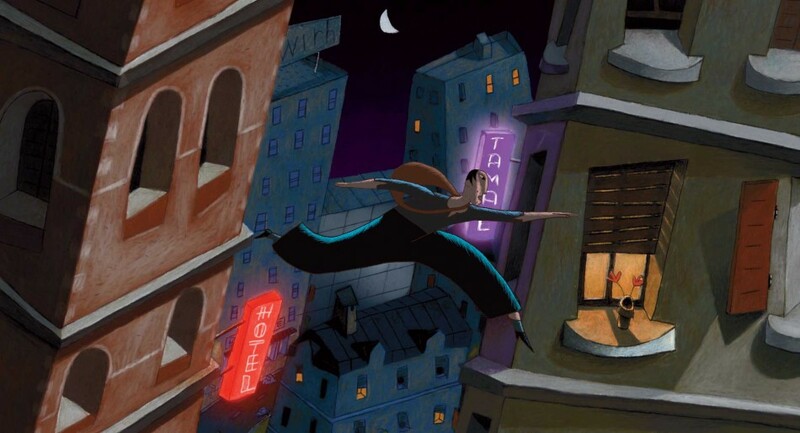 Nocturna: Saturday, August 2, 2014 at 10:30 am, Central Library (88 minutes). Animated and in English. 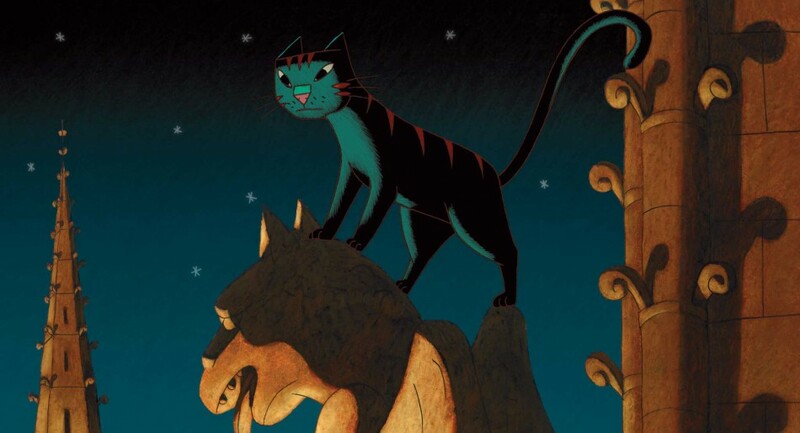 Visually stunning and wildly inventive, this film explores the mystery of the night in a sweeping nocturnal adventure full of “Alice in Wonderland” like characters and moody, dream-inspired landscapes. 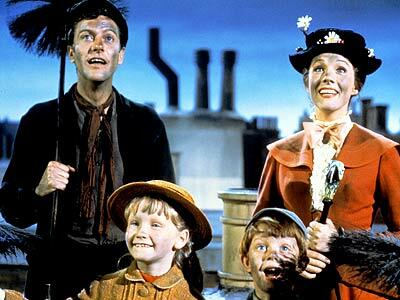 Mary Poppins: Saturday, August 2, 2014 at 2:30 pm, Central Library (139 minutes). Live action, animated, and in English. Released from the Disney Vault in celebration of its 50th Anniversary, this beloved classic shines like never before with an all-new digital restoration. Winner of five Academy Awards®, including Best Actress (Julie Andrews), Best Song (“Chim Chim Cher-ee”), and Best Visual Effects, “Mary Poppins” is a family-film classic as fresh and funny today as when it was made. Boy and the World: Saturday, August 9, 2014 at 2:30 pm, Central Library (80 minutes). Animated and wordless. Cuca lives a life of quiet wonder, exploring all that the countryside has to offer. But his cozy life is shattered when his father leaves for the city, prompting Cuca to embark on a quest to reunite his family. Accompanying the stunning visuals is a rich soundscape of pan-flute, samba, and Brazilian hip-hop. Family Shorts Program: Saturday, August 9, 2014 at 10:30 am, Central Library (95 minutes). 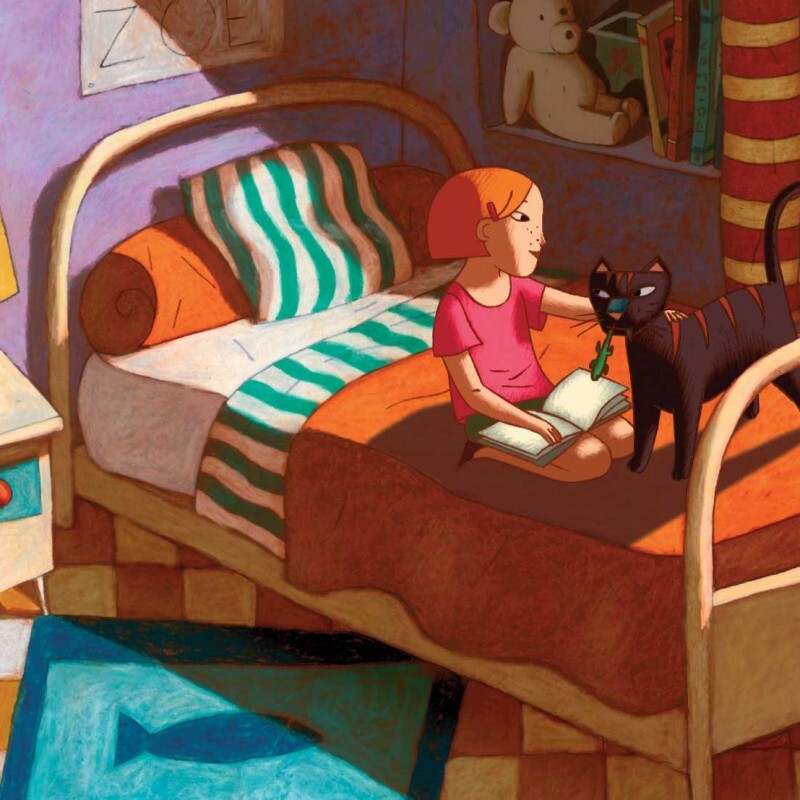 SLIFF/Kids offers a selection of family-friendly shorts from around the globe. As an added treat, the shorts produced by participants in the festival’s Filmmaking Camps will screen as part of the program. The Incredibles: Sunday, August 10, 2014 at 1:30 pm, Central Library (115 minutes). Animated and in English. Shawn Krause, a St. Louis native and 20-year veteran of Pixar Animation Studios, introduces and discusses the film. My Dog the Champion: Saturday, August 2, 2014 at 1 pm, Lindenwood University; Saturday, August 9, 2014 at 12:30 pm, Central Library; Sunday, August 10, 2014 at 1 pm, Wildey (87 minutes). Live action and in English. Dora Madison Burge (“Friday Night Lights”) stars as Madison, a spoiled big-city 16-year-old with a full teenage social life. But when her mom is deployed overseas for three months, Maddy is sent to live with her hard-nosed grandfather (Lance Henriksen of “Aliens”) at his rural cattle ranch. In this strange place with no wi-fi, Maddy will meet cute 17-year-old dog trainer Eli (Cody Linley of “Hannah Montana”), grow to love and respect her stubborn grandpa, and bond with an old cattle dog who just may have the potential to be a blue-ribbon champion. 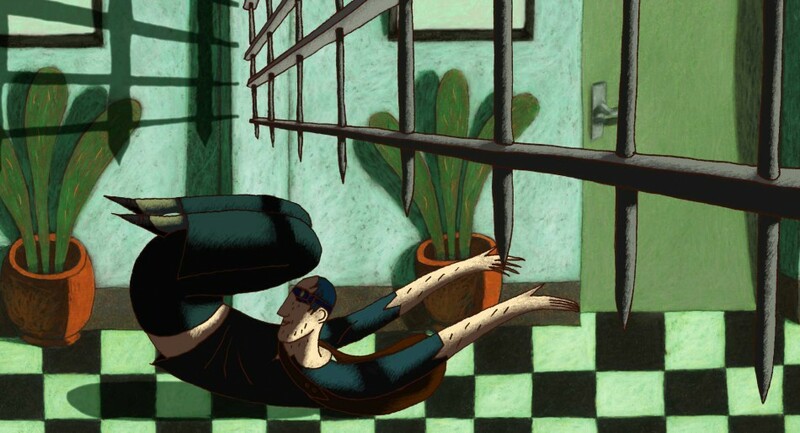 Complete listing of all festival films, including those appropriate for ages 8 and up. See the beautiful and funny Gruffalo film, Pocoyo, and the Wiggles on the big screen. All tickets are $3 and kids under the age of 3 are free. The screening is 72 minutes. Part of the COCA Family Theatre Series, this production of music, puppets, and visual effects brings to life the well known Eric Carle stories: The Very Hungry Caterpillar; Brown Bear, Brown Bear, What Do You See; and Papa, Please Get the Moon For Me. A Mermaid Theatre of Nova Scotia production. Tickets $14 to $20. In collaboration with Artmart, the COCA Visual Arts Open Studio offers children an opportunity to work on their own or under the guidance of a visual arts instructor on projects including collage, book making, watercolor painting, paper mache, and more. $8. Do Piggie and Gerald, Pigeon, and Knuffle Bunny mean something to you? 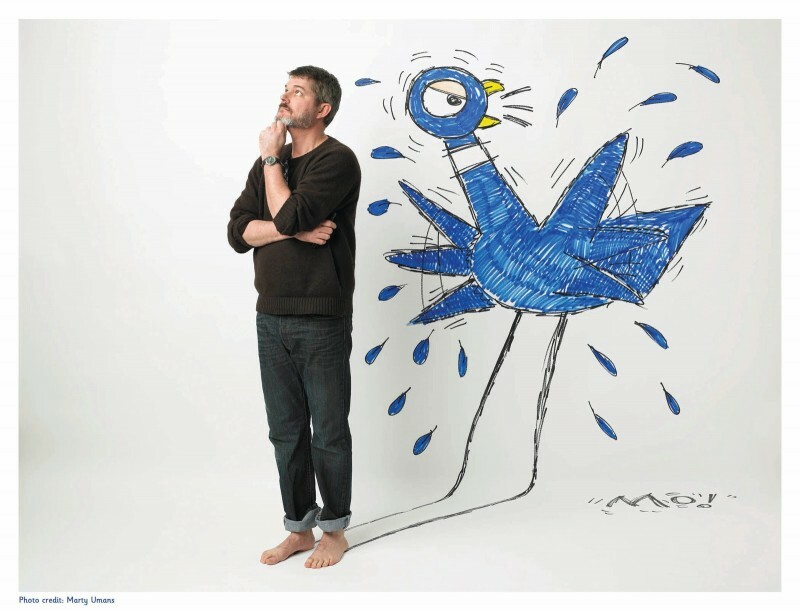 Hear author Mo Willems speak at the St. Louis Country Library Foundation presentation, Mary Institute and St. Louis Country Day School on April 2 at 6 pm. Free tickets are required and are available at St. Louis County Library Headquarters or the Daniel Boone library branch. Doors open at 5 pm. Our daughter also laughs out loud at the funny voice of leading lady Lina Lamont (Jean Hagen) in the talking scenes and the antics of Cosmo Brown (Donald O’Connor). One of the best musicals in film history, Singin’ in the Rain is readily available at your public library, Netflix, Amazon instant video rental, and Blockbuster. Happy watching (dancing and singing too). I’m not sure why, but our three year old recently became fascinated by Mary Poppins, The Sound of Music, and Annie. We try not to let her watch more than an hour a day, but she sings the songs when the TV is off and dances all over the house. A nice alternative to PBS Kids and such. I forgot how charming and brilliant the dancing is in Mary Poppins and the songs sure are catchy. Your local library probably has a few DVD copies of these films (although scratched most likely!). Amazon.com has some reasonably priced DVDs. Gosh. Remember Carol Burnett in the film version of Annie? What a makeup job. The soundtracks are great for car rides as well. Consider downloading a few of your little one’s favorites from itunes.